The Fury is Peter Lynn’s answer to demanding riders looking for a kite that is easy to use but at the same time offers huge performance potential. Due to its high Aspect Ratio, the Fury flies fast, turns on a dime and delivers its power where you need it and when you need it. Combine these characteristics with Peter Lynn’s experience in perfecting kite-stability and the result is a kite that is not only very easy to pick up and ride off with but also a kite that makes high performance accessible for riders looking to boost their experience. Improvements for this year range from improved handling, a bigger wind range and increased performance to balanced Dacron® reinforcements, Kevlar strut-ends and stronger in/deflate valves. This kite left a big impression on me, I have flown all sizes which all translate very well, in all conditions. throwing some big loops on the 7m in gusty winds or getting inverted on the 13m in smooth onshore winds. This kite is designed for freestyle/race, making it amazing for big air. All other kites I have flown do not match the air time, not forgetting the Fury's unhooked ability with just enough slack line at the edge of the window to make handle pass tricks a little bit easier. This kite has amazing power for each size, with a good throw on the bar if you do become over powered at any point in your session. The kite comes in a clean looking bag with pump, inner bag and a repair kit. The inner bag is a really nice touch if your kite gets wet or sandy keeping the main bag free from getting messed up! It also comes in a good range of sizes which will cover all wind conditions. 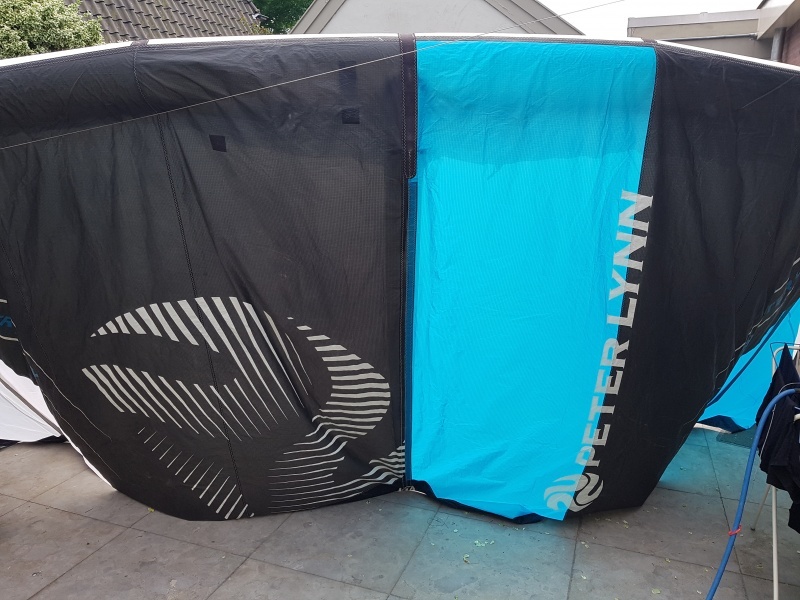 The kite can be set up to suit your riding style with low, medium or hard bar pressure, plus the bar comes with 20m lines and 4m extensions in the bag. So if your wake style, the 20m lines are good, but if you like big air, the 24m lines will see you boost to the moon and back! Not forgetting the knots on the end of the bar if you want to change the turning speeds. The navigator bar is a clean and simple bar that works very well. The bar comes in its own bag with a leash. The safety system is simple and works very well, also the bar comes with some high strength line that you can trust. if you are looking for a kite that will see your skills improve with ease and are wanting a kite that you can tune to suit your style, at a very good price. Then this is for you! short impression of the kite, I rode it 4 times. the peter lynn fury is the ultimate kite for freeride, oldschool and race. the kite has much power for his size. I have never flied a kite with so much hangtime like the fury!! kite comes with a bar, bar bag, pump, leash, bag, inner bag and a big repair kit. the inner bag is nice when you are going to make a trip by plain. kite has much stitched points to prevent wear. you have 3 bar pressure settings: easy, middle and heavy. the kite has a great low end, I flew the 7m in 20 knots and I had good power. the kite's lift is amazing, and also the hangtime is great! upwind is peanuts with this kite, i was going upwind like never before. i think the fury is a bit like the ozone edge, but the price / quality from the fury is better. the navigator bar is simple but it works pretty well! the lines are strong and they don't stretch out after a while. the safety is a bit different (pull instead of push) but it works fine. if you are looking for a kite with a lot of lift and airtime, you like to jump and to go upwind very fast the fury is THE kite for you! !